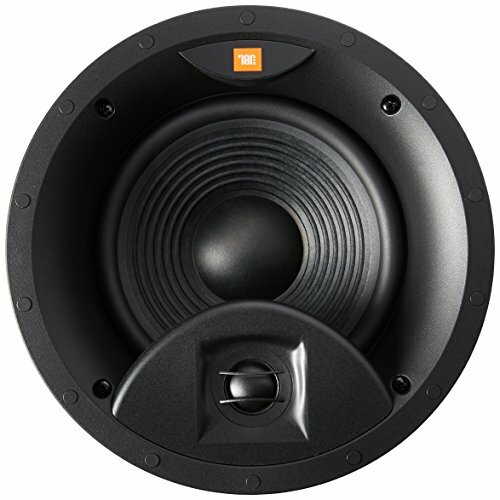 Sound Inspired by JBL's legendary M2 Master Reference Monitor High Definition Imaging (HDI) waveguide technology takes its cues from the legendary JBL M2 Master reference monitor. Computer-optimized driver positioning and network integration result in ideal performance and life-like soundstage imaging throughout the entire room, regardless of location. Proven acoustic superiority through rigorous testing and real-world evaluation. Paintable, nearly invisible zero-bezel magnetic grill Speakers are nearly invisible, seamlessly blending into wall or ceiling architecture. Equally pleasing to audiophiles and interior designers as full-dispersionspeakers can be fully painted and integrated into any configuration or setup. Engineered for the custom installer with a whole-room, seamless audio and visual design in mind. Superior XL-2 isntallation bracket Study, reliable design fit for easy installation in walls up to a full 2" thick. Specialty mechanical grip designed to minimize vibration regardless of installation format. Handles cusotm installation better than typical 1-1/2" bracket designs.